Weina Dinata's house on the day of the Theodore Payne Foundation's 2015 Native Plant Garden Tour. 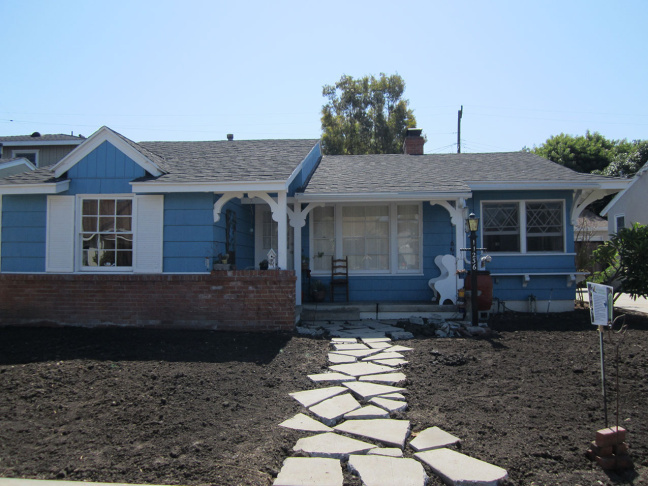 More Southern California homeowners are tearing out their traditional grass lawns and replacing them with drought-tolerant yards. Lawn removal incentives have made it more affordable for homeowners who want to save water. 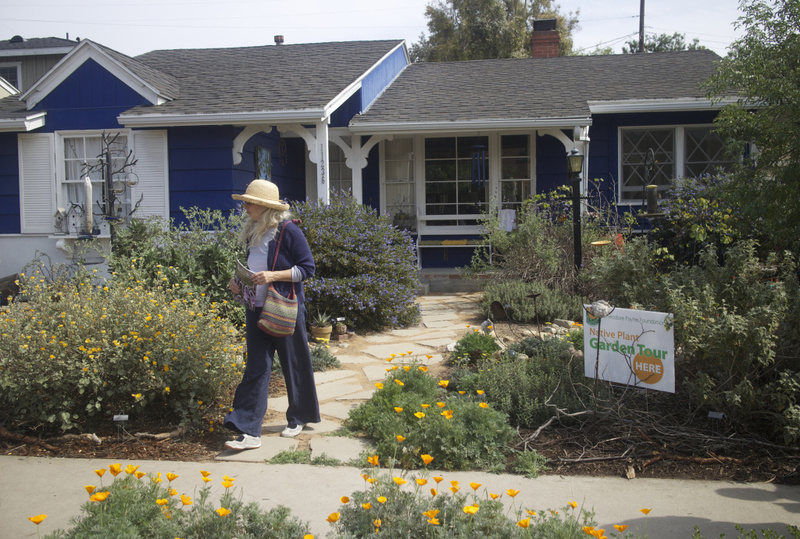 The push for drought-tolerant yards has resulted in more than 20 million square feet of lawn being removed in Southern California, with another 45 million slated for removal. But before you rush to replace your lawn, keep in mind that not all water-wise options are equal. Some may be more friendly to local ecosystems, for example. Let's examine the options. Experts said that artificial turf lawns may stay evergreen without the need for any water. But they provide no food or habitat for local birds and insects. 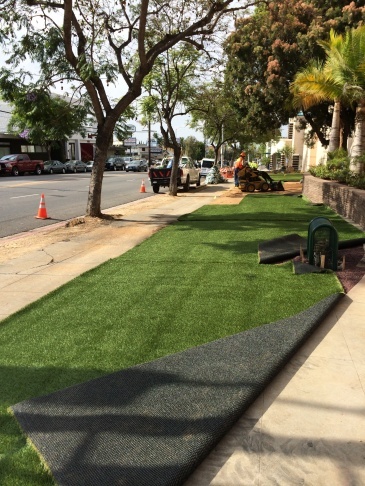 Workers install an artificial turf lawn outside the Los Angeles Department of Water and Power building in Los Feliz. "I kind of recoil when I hear people talk about, ‘Well, we can just put artificial turf out there,'" said Kimball Garrett, ornithology collections manager at the Natural History Museum of Los Angeles County. "It doesn’t take water, but it’s a biological zero. I mean, frankly, a dirt or a gravel yard that you let some weeds grow up in is biologically far richer than astroturf or concrete." "On the one hand our goal is to not use the water we’ve been using. 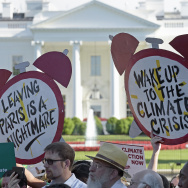 I think that increasing biodiversity ought to be kind of a corollary goal as well,” he added. Most drought-tolerant plants commonly found in nurseries come from areas outside of California, such as Arizona, South Africa or Australia. Scientists say these kinds of plants often aren't as beneficial to the local ecology. "It’s indisputable that we’d get more different species of insects here — and the type of biodiversity that we really care about — if we planted more native plants,” said Brian Brown, entomology curator at the Natural History Museum. Brian Brown examines a carpenter bee in the Natural History Museum's nature garden. “If you walk past oak trees in the summer at night, you’ll hear all the insects calling in them. And then you walk past another tree, and it’s just silent. So you can actually just walk around with your eyes closed and tell when you get near some native vegetation,” Brown said. Despite their benefits, native plants are largely left out of many nurseries. Some experts say the reason is because commercial growers aren't supplying the plants. "The nursery industry at this point is a bottleneck, because, like everybody else, they have not been ahead of the curve thinking about the shift that needs to take place relative to the plants that are offered," said Stephanie Pincetl, Director of the California Center for Sustainable Communities at UCLA. 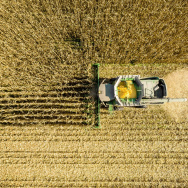 Growers, though, said that it's a lack of demand that informs their choices of which plants to supply. “We have tried to grow a lot of native plants, and for a whole variety of different reasons, we’ve not been successful. And in some instances, when they’ve been brought to the garden centers, they've just sat in the garden centers. People walk past them, unfortunately,” said Nicholas Staddon, director of new plants at Monrovia. The need for native plants is nearing a critical point, as plans to renovate the Los Angeles River will require massive numbers of native plants. A collective of park systems and conservation groups has formed to begin building a network of native plant nurseries around the Los Angeles River Watershed. The project is called Grown in L.A. The nurseries — some of which would be temporary popup operations — would act as a combination of emergency triage supply houses, demonstration gardens and community gathering spaces. 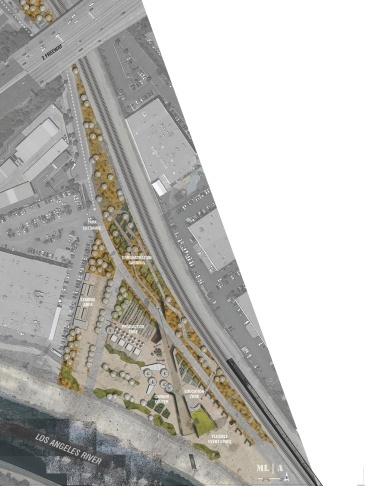 Some of the sites that are further along in the planning process include Debs Park, the Commonwealth Nursery in Griffith Park and the Bowtie Parcel alongside the Los Angeles River. 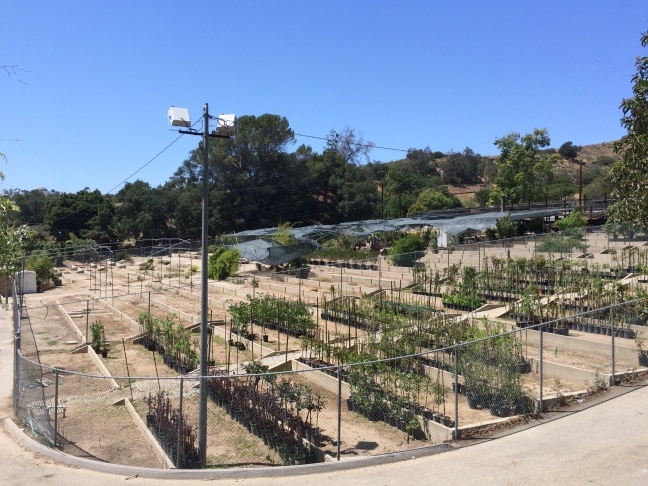 The Nature Conservancy is working with the City of Los Angeles and the LA Parks Foundation to convert the Commonwealth Nursery into a major native plant growing operation. The Bowtie Parcel is a patch of undeveloped land along the Los Angeles River, near Elysian Park. 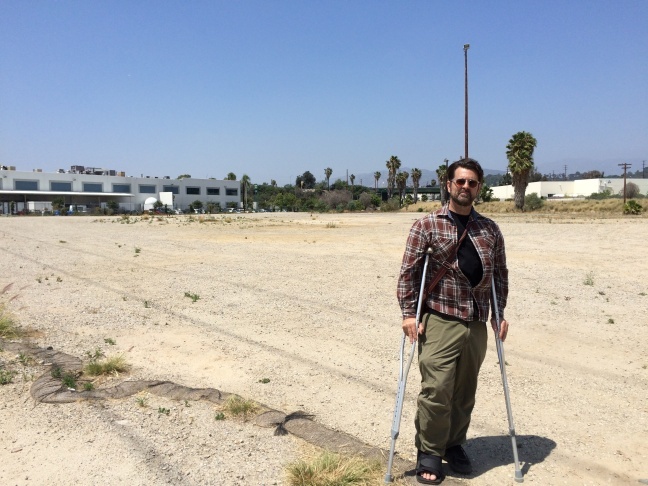 It used to be a staging ground for the Union Pacific Railroad. It was purchased by the California State Park system in 2003. Someday it will become a state park. In the meantime, officials said that the site is an ideal spot to host a popup native plant nursery. Woods and Superfisky said that plans for the spot could include biology education and arts programming if enough money is raised. Grown in LA is hoping to raise a few million dollars. Plants could begin growing at the Bowtie Parcel this summer. Sean Woods stands within the Bowtie Parcel. You can see more images of the proposed Bowtie Nursery below. 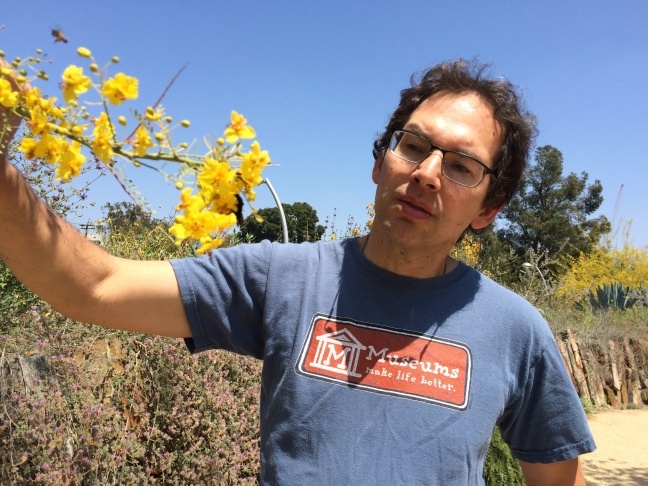 This is the second of a two-part series on California native plants. Read the first story and find a native plant guide here.